community for threatening his life and his supporters ahead of the rerun governorship poll holding today. 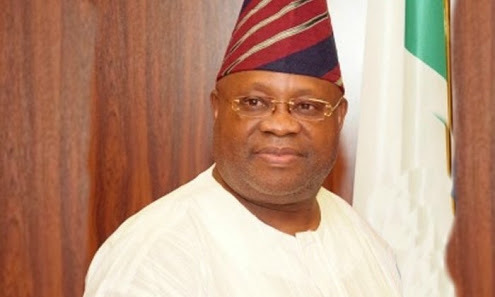 This was contained in a statement released in Osogbo on Wednesday by the spokesperson of Adeleke Campaign Organisation, Mr Rasheed Olawale. The letter, according to Olawale, was sent to the United Nations; European Union; the United States and several diplomatic missions in Nigeria. The PDP candidate listed many alleged infractions in the last Saturday polls, the refusal of INEC to declare him the winner in line with the constitution, the alleged killing and maiming of his supporters, the arrest of key leaders on trumped-up charges and the manipulations of the electoral process. He said, “I am constrained to write this letter to intimate you, our diplomatic partners and friends of despotic happenings in Osun governorship polls which I won but for which I was not declared the winner. My life is under threat and the leaders of my party are under siege before and after Saturday main polls. “During the campaigns, we were subjected to countless attacks. I escaped about four assassination attempts. Our campaign vehicles were severally attacked and our rallies disrupted. We went through the pre-election process under constant onslaught from political thugs and merchants of violence. “Despite the violence-prone climate, I still won the election. On live television, our votes were removed and protestations for re-addition of the votes were rejected. Votes for the ruling party were jerked up and again the electoral umpire refused to correct the arithmetical errors. After all the manipulations which saw about 4000 votes removed from my total votes, I still won by close to 400 votes.